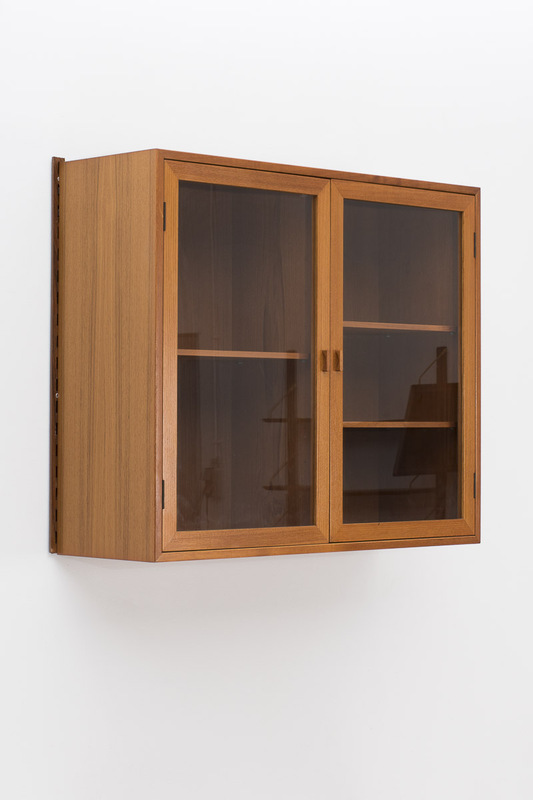 Floating display cabinet designed by Kai Kristiansen for Feldballes Mobelfabrik, Denmark 1950. 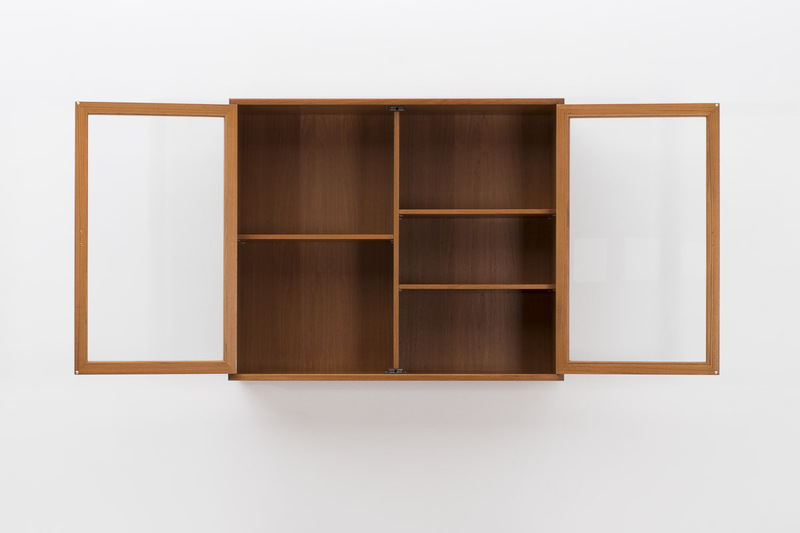 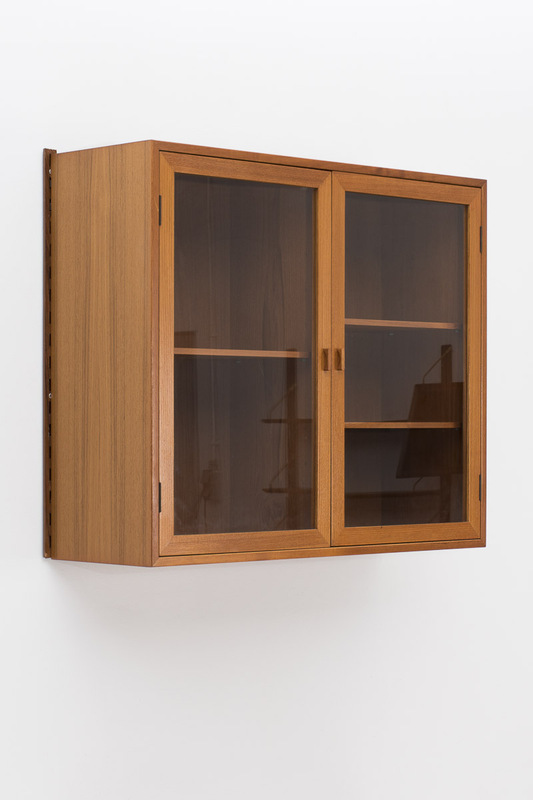 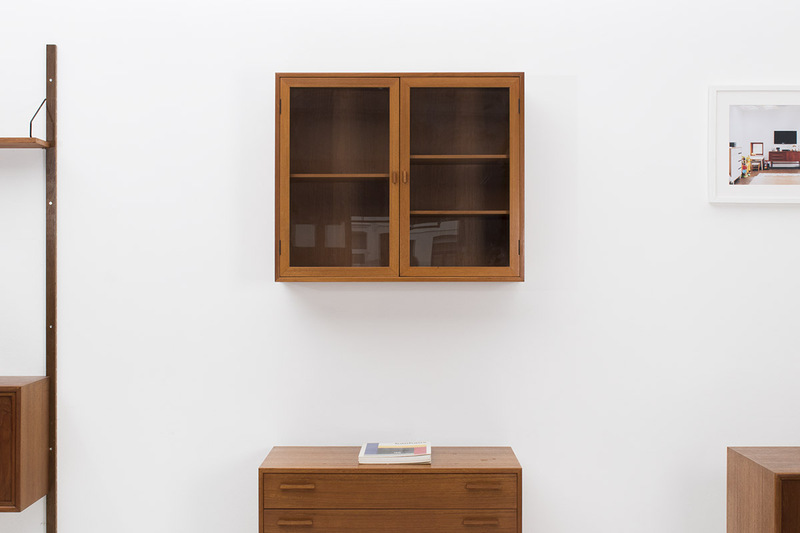 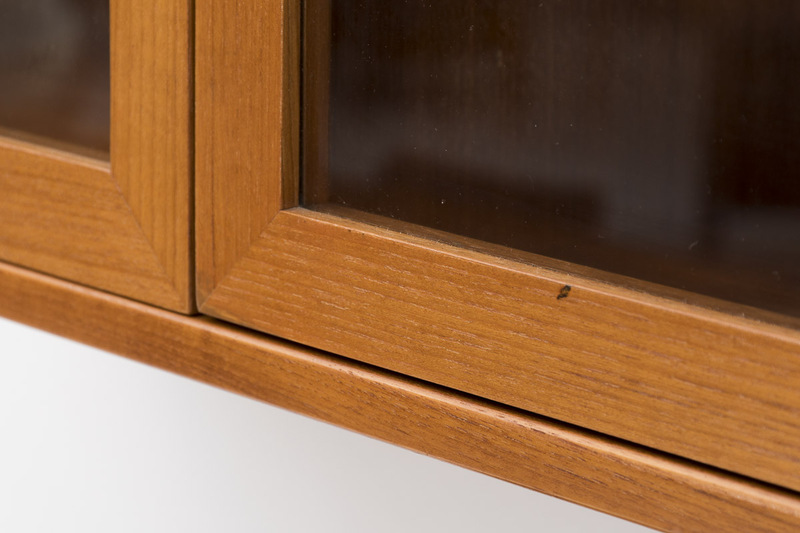 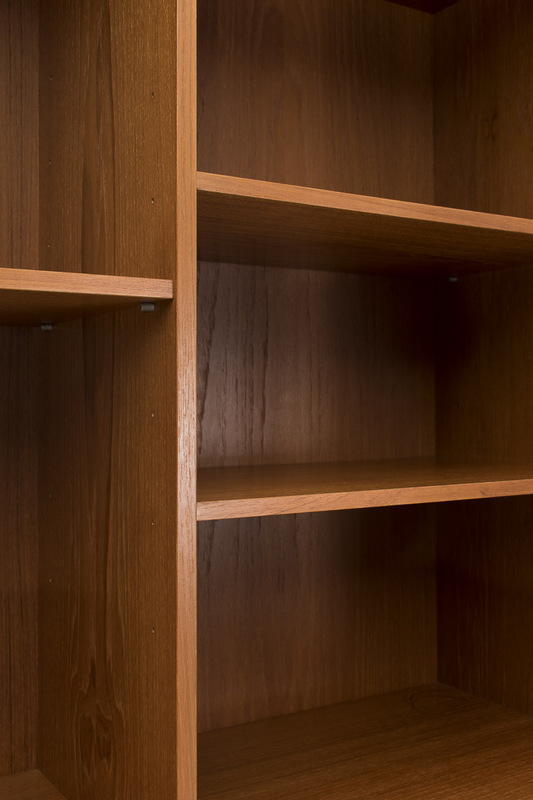 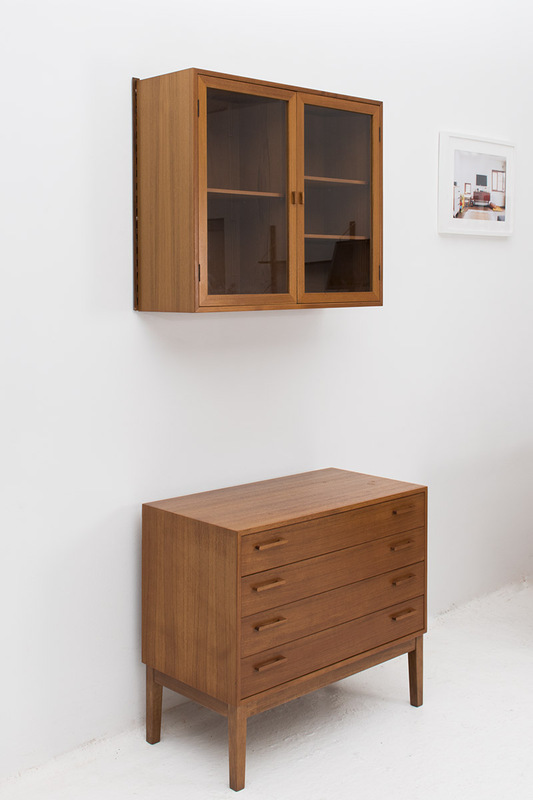 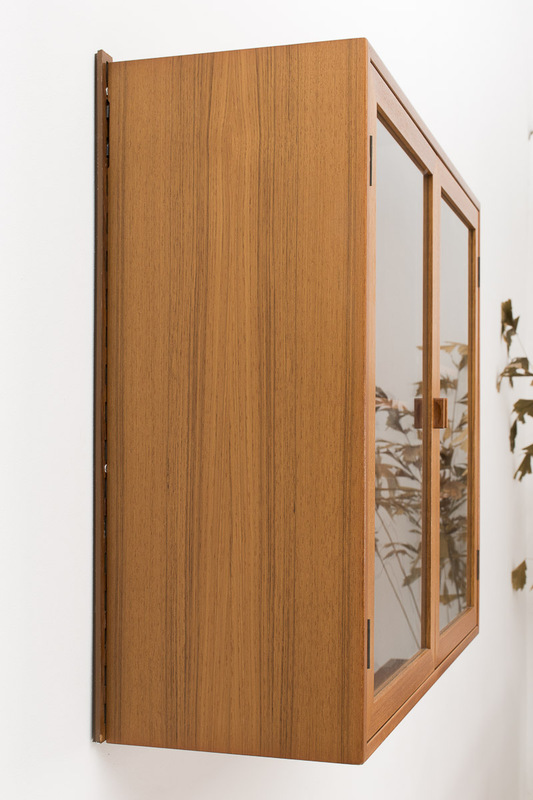 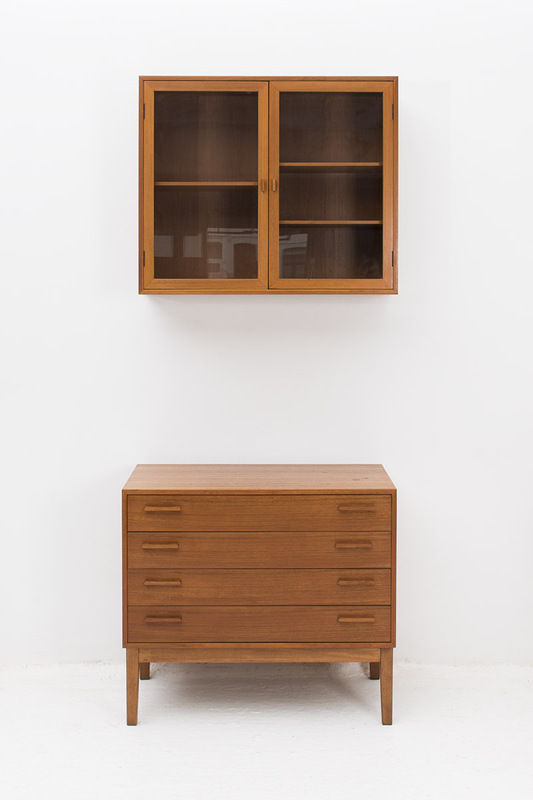 This cabinet features 2 glass doors and is made from teak. 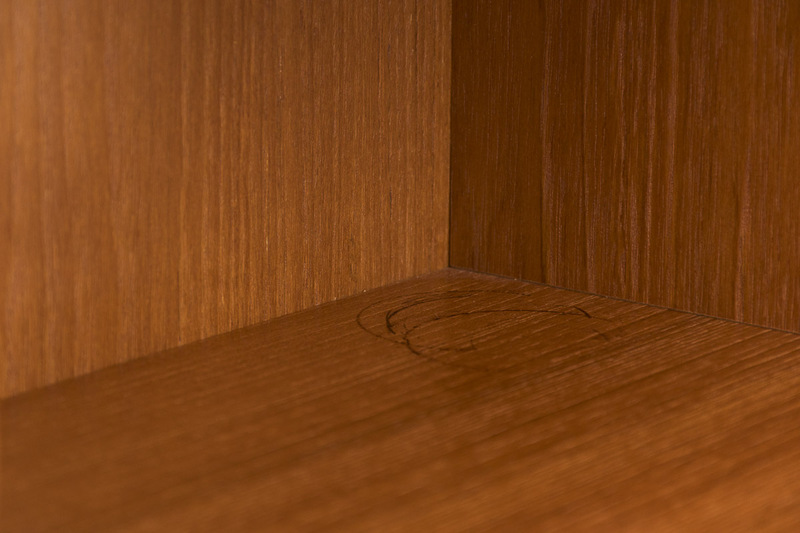 In very good condition with a few using marks as shown in the pictures.